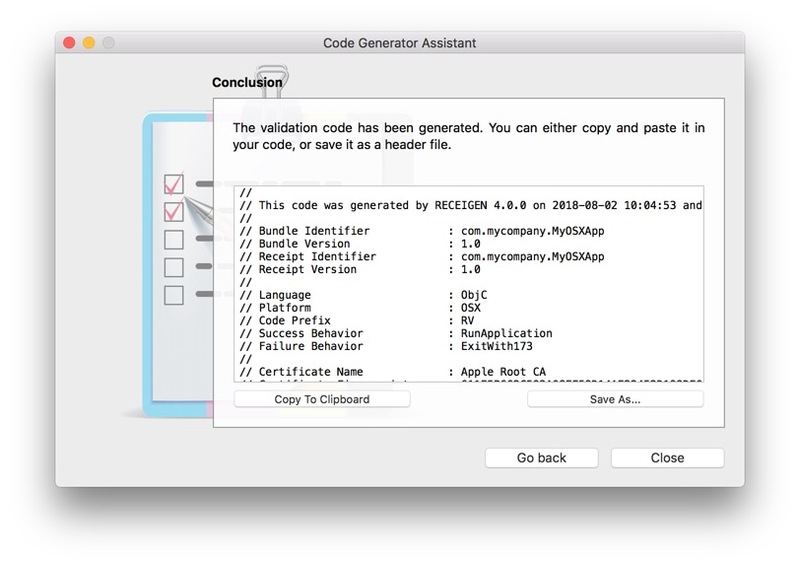 The Code Assistant is the simplest way to generate the receipt validation code. 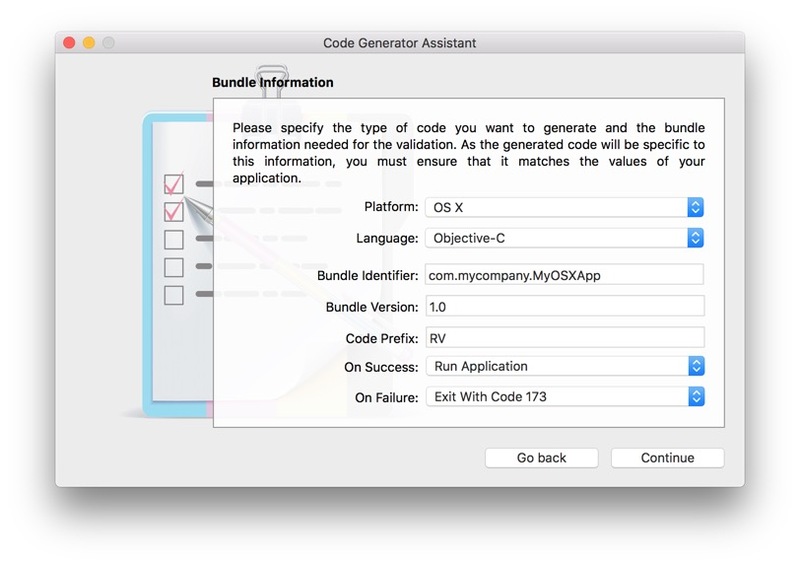 To open the Code Assistant, click on the Code Assistant icon in the toolbar or select the menu File, the Open Code Assistant… item. Click the Continue button to proceed. 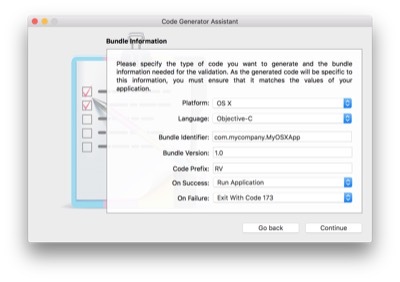 Enter the bundle information; the required information are the Bundle Identifier and the Bundle Version. If you want to use a code prefix, enter it. Select the desired behavior for the validation code. The customization guide describes all the available behaviors. Once you have provided these information, click the Continue button to launch the generation. The next screen is a temporary screen displayed during generation. On common hardware, the generation only takes a few seconds. 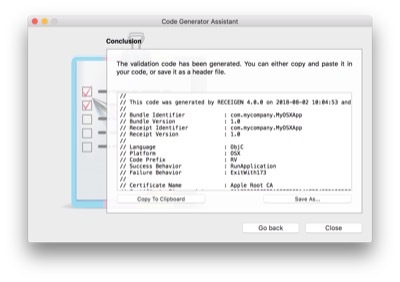 Right after the generation, the Code Assistant displays the result. You can choose either to copy the result to the clipboard or to save it into a file.